TouchID is much loved feature in iPhone and iPad which instantly unlocks the device with your fingerprint which much safe identity than a passcode. Apple would likely to introduce this new feature to OS X which can be unlock device from your iPhone TouchID as rumor suggests Apple could add support this feature in OS X 10.12. A rumor from MacRumors as they claims that Apple could also integrate auto unlock feature into next MacOS that allow to unlock your Mac with iPhone or Apple Watch near-by as they both connected to Mac earlier for verification which uses Bluetooth for connection. In addition to an iPhone unlocking a Mac, the report claims that it’s also “possible” that when an Apple Watch is in close proximity to a Mac, it could also unlock the computer. As there Apps from 3rd parties which uses these type of features. Apple Pay is much essential feature as this will help you to purchase products without swapping or write you card no. As it uses NFC for payments for outdoors and for purchasing online user can easily buy with authentication as it uses TouchID. MacOS can also make entry with Apple Pay to easily purchase products on the web easily without writing code. 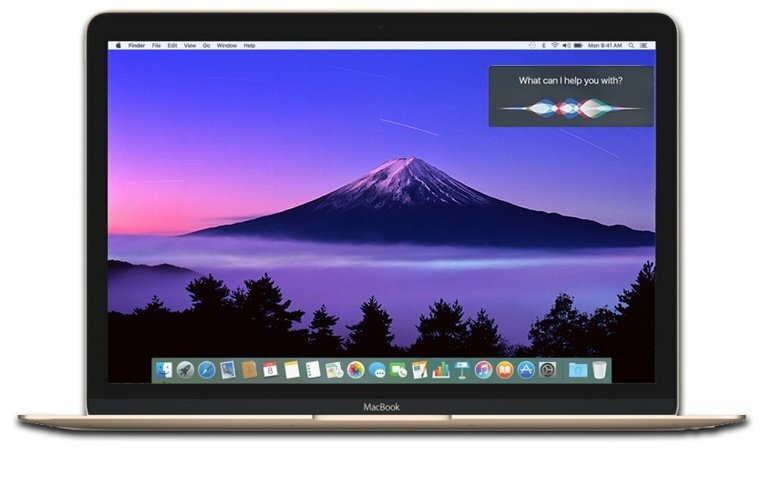 Siri Apple most beloved assistance may also make entry to MacOS which is necessary for mac user as it also give competition to Microsoft Cortana as virtual assistance is become need for user as they can make our work easily as suppose you want to listen particular music without any search or want to schedule to send email or presentation or want to where is your last night files over it makes sense that assistance make work easier. Apple is rumored to planing to bring Siri to next version of MacOS. As leaks images shown from MacRumors claims that Siri is appearing in next release which makes things exciting leaks images of Siri working in MacOS showing black white Siri logo appears In the menu bar with dock icon of Siri in waveform with splash of color. By clicking icon in dock open a new dialog bog with Siri interface with wavefront form and start to listing users command. The more to be reveal as we close to event on 13 June for now these are the only rumor which claims and will make there appearance in next version of OS X 10.12. The 2016 Worldwide Developer Conference is set to take place from June 13th through June 17th in San Francisco. You can read everything you need to know about the event in our blog so please stay tuned while we give you every details about it.